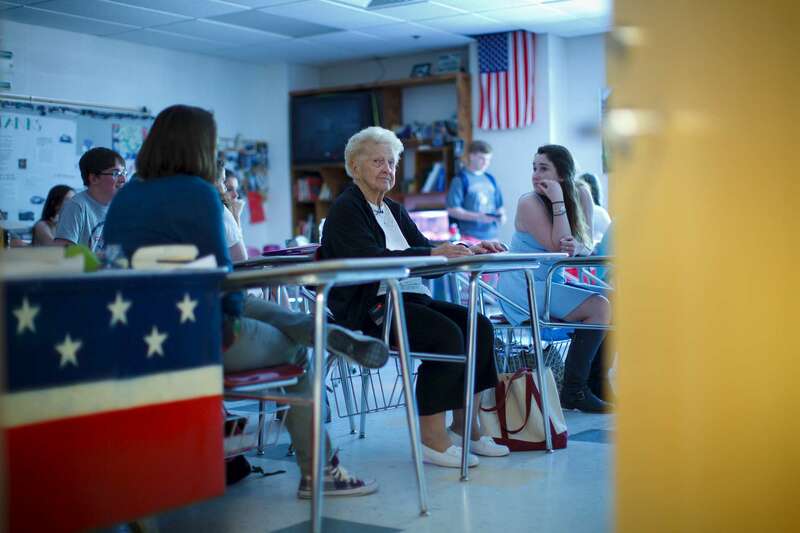 5/12/2014 - Westford, MA - Genevieve Johnson, cq, is a 94-year-old who dropped out of high school with 2.5 credits left to help her family by working (it was the Depression.) Now she's fulfilling a lifelong dream: She will graduate Westford Academy on June 6. She's being assisted by a "dream team" of students who help her get to class. Topic: 14genevieve. Story by David Filipov/Globe Staff. Dina Rudick/Globe Staff.